All dairy animals for exhibit must be in place not later than 1:00 p.m., Fair Monday. The Junior Dairy Show is open only to Clarke and Frederick County 4-H or FFA members enrolled in the dairy project by January 1 of the year of the show. 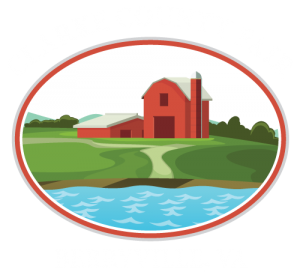 All 4-H’ers and FFA’ers planning to exhibit dairy animals at the Clarke County Fair must turn in an updated project record book to the Extension Office or VoAg Instructor no later than the second last Friday June during the year of the fair. All 4-H and FFA entries must have been personally managed, cared for, and owned or leased by the exhibitor making the entry by June 30 of the current project year. All dairy cattle shown in the “Open Classes” (4-H, FFA and adult exhibitors) are to remain in place until 6:00 p.m., Saturday unless being moved to another fair. Permission of the committee must be obtained by those in writing to leave before this time. All dairy cattle exhibited must meet the cattle health requirements as listed in the Animal Health Regulations section of the fair catalog. 4-H and FFA member may compete in all open classes. No entry fee will be charged for cattle exhibited in open competition. The following premiums will be paid in the Open Show: 1st- $12.00, 2nd- $8.00, 3rd- $6.00, 4th- $4.00. Each breed will be shown separately. All 4-H and FFA members must participate in the dairy showmanship classes in order to receive Junior Show premiums. All dairy cattle exhibited must be registered. Thursday, August 15, 9 A.M.
Showmanship classes will be divided into Novice, Junior, Intermediate and Senior. Novice Showmen will be those youth who have not shown dairy as a 4-H or FFA project previously at the Clarke County Fair. Junior Showman will be those exhibitors who will be 9, 10 and 11 years of age as of September 30, 2019. Intermediate showmen will be those exhibitors who will be 12 and 13 years of age as of September 30, 2019 and Senior Showmen are those exhibitors who will be 14 years of age and older as of September 30, 2019. Thursday, August 15, 9:00 A.M.
PREMIER BREEDER- a rosette is to be awarded to the breeder winning the most points on the 10 highest placing animals bred by him/her. Points will be awarded on the basis of 10 points for first, 9 points for second, 8 for third, 7 for fourth, 6 for fifth, 5 for sixth, 4 for seventh, 3 for eighth, 2 for ninth, and 1 for tenth. PREMIER EXHIBITOR- a rosette will be made to the exhibitor winning the most points on the highest placing animal exhibited. Points will be calculated by counting the placings for the following classes only: 1,2,3,4,5,6,7,8,12 and 13. 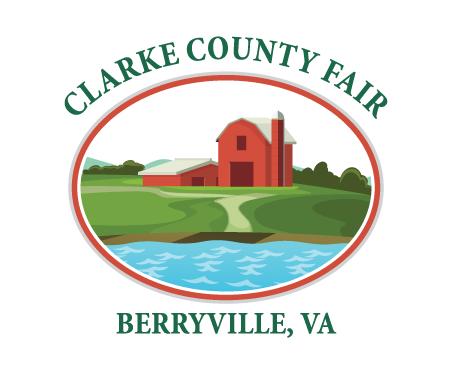 The first place winners in the novice, junior, intermediate, and senior divisions of the showmanship classes will receive a banner presented by the Clarke County Ruritan Club. The engraved brushes are donated by Kevin and Laura Jackson. This award, in memory of John O. Hardesty, has been established by Harvue Farm to recognize the 4-H or FFA member who displayed the most sportsmanship, helping hand, and genuine care toward his/her fellow exhibitors. The award is to be voted on by junior dairy exhibitors on Friday of Fair week. Given in memory of Carter Hardesty, the recipient of this award is a senior 4-Her who, like Carter, displays the characteristics of kindness, fair play, and willingness to include everyone around them. To be decided by the 4-H leaders. In memory of Frank C. Sowers, who supported and promoted youth, a special award sponsored by the Sowers family is presented to a Clarke County 4-H/FFA dairy exhibitor who does the best job caring for and preparing his/her animal throughout the week. To be decided by the 4-H leaders. The Chauncey Family will sponsor an award to recognize a first or second year 4-H or FFA member who shows the attitude, energy, and initiative to constantly progress in their knowledge and ability by caring for and learning from their 4-H project. To be judged by 4-H Leaders. The Dickey Family will sponsor an award given in honor of James L. Ramey, Sr. who was actively involved with 4-H for over 30 years. Presented to the 4-H member who is self-motivated, helpful, and sensitive toward the needs of others. To be decided by 4-H Leaders. Demonstrates outgoing attitude while displaying and caring for his/her animal. Shows enthusiasm when talking with the public as they visit the barn. To be decided by the 4-H leaders. Sponsored by the Northcraft Family. Pre 4-Her who works the hardest throughout the week taking care of his or her animal. Sponsored by the O’Donnell family. To be decided by the 4-H leaders. This award, in memory of Charles Ward, is given to the dairy club member who, like Mr. Ward, displays the true spirit of friendship. This person is eager to help others, is friendly, and makes everyone feel included. Mr. Ward was a quiet, kind presence in the dairy barn for over 40 years. He is missed by all who had the privilege of knowing him. Sponsored by the Ward Family. This award will be given to the 4-H member with the best homemade animal pen sign. This will be decided on by the 4-H members (exhibiting project animals in the dairy barn) and is based on creativity, neatness, and completion of animal information. Sponsored by the Ricker Family. Jack Hardesty’s Dedicated to Dairy award is sponsored by the Whalen family and decided on by the leaders. Those who had the pleasure of knowing Jack can attest to his dedication to the dairy industry and its continuation and growth. He knew that would happen through programs like 4H with children like this award winner who displays the love of Dairy like Jack. The recipient of this award displays Jack’s characteristics of love and joy when sharing his/her dairy calf. This award is sponsored by The Marasco Family and is awarded to the 4Her who puts the most time in fair week. This individual is one of the first to show up each day and one of the last to leave each day. This person is always lending a helping hand and is eager to see that all of the work is done. This award will be decided on by the 4H leaders.